Last August I had a conversation with acupuncturist Beth Kearns about each of the tapping points we use in the basic tapping routine. If you haven’t listened to the conversation, I encourage you to go back to it because it is informative. 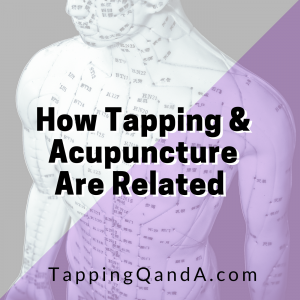 There are three main differences between tapping and acupuncture. The first and most obvious is that we tap with our hands and an acupuncturist uses needles. Second, when we are tapping we usually say phrases out loud and if not, we are still focused on a particular issue. This is not required with acupuncture. Third, when tapping we use the same seven to fifteen tapping points for any issue. An acupuncturist uses a custom set of points on the body for each issue from a choice of hundreds. In this conversation Beth explains her intake process to me, what she is looking for when working with clients, and how she decides which points to use. We even play act the intake process with me talking about the specific issue that first brought me to tapping. I found all of this information extremely interesting. 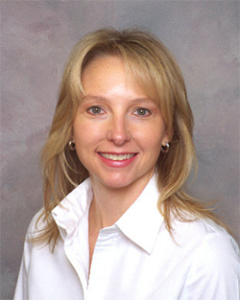 About Beth: Beth is a fully licensed acupuncturist in the State of Colorado. She is a certified Diplomat (Dipl.Ac) by the National Certification Commission in Acupuncture and Oriental Medicine (NCCAOM). She completed the four-year program at the Institute of Taoist Education and Acupuncture (ITEA) in Louisville, CO. ITEA is a Classical Five-Element Acupuncture school. In addition to acupuncture, Beth is also an advanced Neuro-Structural Integration Technique (NST) practitioner. Beth is a teacher at ITEA and loves sharing this amazing form of acupuncture with students. She is available to bring acupuncture and NST to businesses and groups and give lectures on many topics including acupuncture, depression/anxiety, grief, women’s issues, and much more.